To paraphrase Andrew Skurka (from his terrific book, The Ultimate Hiker’s Gear Guide) there are two types of fun: Type 1 Fun is fun to do and fun to have done, while Type 2 Fun is fun to have done, but not so fun to do. Thankfully, thru-hiking the John Muir Trail is definitely Type 1 Fun (at least for most people). That doesn’t mean that you will be comfortable at all times. The various pests you may encounter along the way are unlikely to ruin your hike – or even your afternoon – but knowing what they are and how to mitigate their impact is a handy skill to have. Other Hikers. This happens less frequently than you might expect. You will see people every day on your hike, unless you are well outside the normal season, but they are almost invariable pleasant, polite, and well informed regarding trail etiquette (like Leave No Trace). There are rare exceptions. For me, the worst was a group of about a dozen I encountered a few years ago. 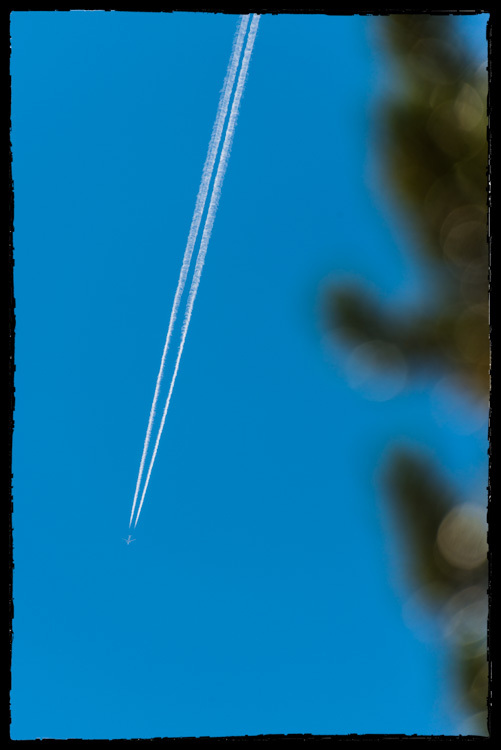 They were using an itinerary very close to mine, were loud, and consisted of hikers who walked at different speeds, almost all of whom were faster than me. They also liked to take breaks every forty-five minutes to an hour. Typically I would first see them early in the morning as they passed me. Then I would pass them while they took a break. Then they would pass me; them me them, etc., etc, etc. After three days of this I had to do something. What I ended up doing was spending a half-day longer in camp and adjusting my proposed campsites for the rest of the trip. That did the trick! I didn’t see them again until Guitar Lake. If you encounter a hiker or hikers who are spoiling your experience you need to do one of two things: either get ahead of them (perhaps by getting up a few hours earlier and making some more miles) or let them get ahead of you. Bears. I’ve written about bears before, but they have almost ceased to be a problem since we all started carrying bear canisters. Where might you still have a run in with an unwelcome ursine guest? The most likely areas are those where you will find the most people: Little Yosemite Valley, Tuolumne Meadows, Lyell Canyon, near the Devils Postpile, and the Rae lakes area. That’s not to say that there are not bears all along the trail – there are! But bears associate humans with easy food mostly were there are lots of people without bear canisters. Keep your scented items in your canister and you will be fine. Marmots (and other small mammals). It’s possible – even likely – that you will hike your entire hike without seeing a bear. 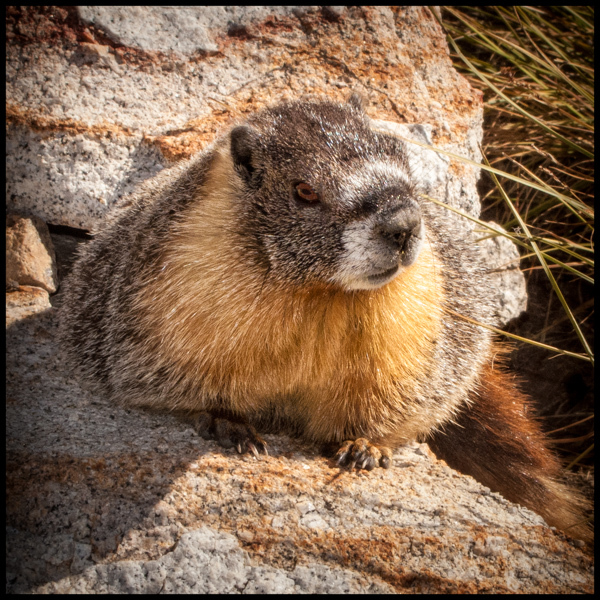 You will see marmots almost every day. Oh, and they know where you keep your goodies: right in the colorful backpack you leaned against that boulder before wandering off to get water. The further bad news is that they do not know how to operate zippers. Instead, they will chew right through whatever fabric separates them from the meal within. A few simple rules have kept me from being burglarized over the years: keep all scented items in your canister; during breaks, keep your backpack close at hand; and at night hang your backpack from a tree. Hanging your backpack at night is a good idea even though it doesn’t have anything edible in it. The sweat-soaked straps on the pack are an excellent source of salt. Mosquitos. The best way to avoid these bloodsuckers is to hike late in the season. Failing that, you can still avoid the worst while you hike by wearing pants (instead of shorts) and a long sleeved shirt, applying some DEET, and using a headnet. I’ve walked through a virtual fog of insects using this technique without getting a single bite. To avoid them while on breaks and camping overnight, get your water along the trail, then find a spot at least four or five hundred yards from the nearest water source. You should find that it will be relatively insect free, especially if there is a bit of a breeze and little shade. In September of 2014 nearly 5,000 acres were burned during what became known as the Meadow Fire. The park service believes it was started by a lightning strike. 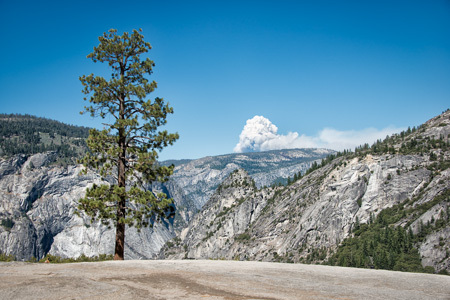 The fire burned an extensive area north and south of the John Muir Trail, east and northeast of Little Yosemite Valley. The map, below, is a compilation of data from a number of sources. The green, orange, and red areas represent increased levels of burn. The blue line shows the trail. Hikers who intend to begin their John Muir Trial hike from Happy Isles (far fewer this year due to changes in the way permits are issued) will likely encounter this stretch during day one or day two. Depending on your level of fitness and hiking speed, the location of the burned areas could present a challenge. Hikers who get a Happy Isles “Pass-Through” permit are prohibited from camping in Little Yosemite Valley. Instead, they will either have to camp just short of the affected area, where a reliable water source is unlikely to be found, camp within the burned area, which is likely to be unpleasant, or walk all the way through, which means more than ten miles the first day. Fire is a natural part of the ecosystem, and much of the area that burned was full of dry, dense underbrush. The scar on the terrain from this fire will last well beyond the lifetime of anyone reading this post, but it could have been very much worse. 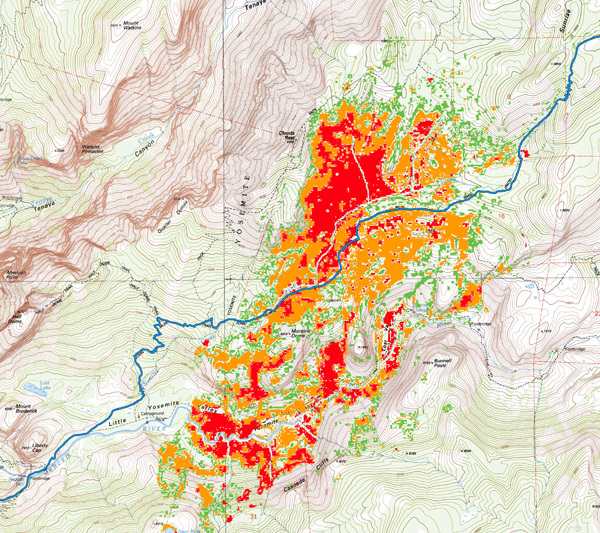 For JMT hikers, this will be the first of two significant burned areas to walk through. The next will occur on the first day out of Red’s Meadow. In September of last year nearly 5,000 acres were burned during what became known as the Meadow Fire. The park service believes it was started by a lightning strike. If you aren’t so sure, try to reconnect with what drove you to take on the trail in the first place, and recommit to finishing. If you do, and you succeed, you will have an experience far more memorable than any first class flight. There is no more significant turning point in a young person’s life than when they discover they can do something they were absolutely sure they could not do. 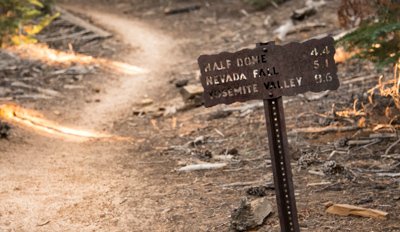 A perfect example: thru-hiking the John Muir Trail. For that reason, I’d like to turn over the blog this week to Daniel Fogel of JMTAdventures.com, an outfit which provides a unique summer camp for teens. The 211 miles of the John Muir Trail provide some of the most stunning scenery the United States has to offer. But ask anyone who has thru hiked the JMT, and they’ll tell you that they gained a lot more from their experience than a few pretty pictures of Half Dome and Mt. Whitney. Thru hikes are as much a mental journey as they are a physical one. Living outdoors for two to three weeks is eye opening; it is the antithesis of the fast pace of modern day city life. Thru hiking is total freedom. There is no schedule, no calendar reminders, no appointments. You hike when you want to hike, you eat when you’re hungry, and you break whenever a particular scene strikes your fancy. It is the ultimate embrace of the present: time is no factor, and all that matters is the current moment. Writers such as Henry David Thoreau, Ralph Waldo Emerson, and John Muir himself waxed poetic about the solace that nature provides. “I never found a companion that was so companionable as solitude,” wrote Thoreau. The Yosemite section of the JMT is a zoo of tourists, but soon enough, you will discover the great companion Thoreau describes. The solitude of the trail offers an opportunity for self-reflection and discovery. And yet, somehow, JMT thru hikers also form a friendly and supportive social community. Through facing and overcoming adversity together, the trail builds friendships formed in days that can last a lifetime. Hiking 211 miles builds character as well as friendships, and completing the JMT requires incredible resilience. By the time you summit Mt. Whitney, you will have the mindset that through perseverance and hard work, you can and will overcome any obstacle. Is It Time to Re-Think the Best Month to Hike the John Muir Trail? I have long been a proponent of late summer or early fall for a thru-hike of the John Muir Trial. After my last two successful hikes, I am close to changing that recommendation. I happen to really enjoy two nights—with a rest day between—at Muir Trail Ranch. One- or two-night stays for a single or a small group are far easier to arrange later in the season. That’s an awful lot of good reasons to hike late in the season. Here’s the one disadvantage: wildfires. During my last two thru-hikes I encountered the smoke from forest fires that came close to ending my trip. Will 2014 be the Year? Welcome to the last day of the year. So, how did 2013 go? What did you do in 2013 that you will remember twenty years later, in 2033? Would you like to do something, next year, you’ll remember in 2034? 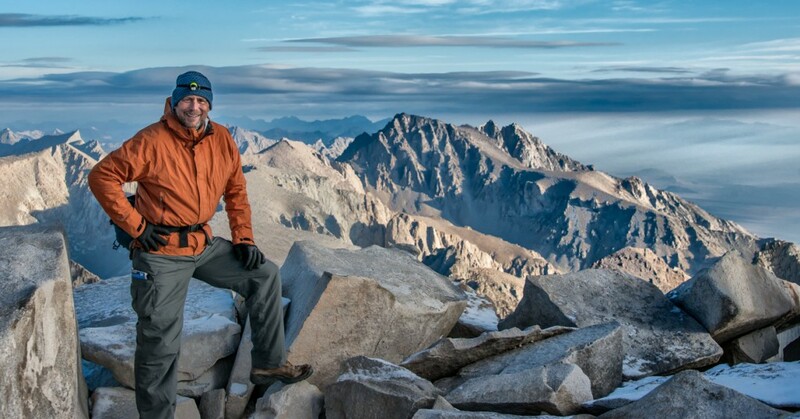 At about 7:20 a.m., on Thursday, September 12th, 2013, I walked the last few feet of the John Muir Trail and reached the summit of Mount Whitney. It was the end of a trip that began at Happy Isles. It was cold & cloudy the morning I arrived at the summit of Mount Whitney, completing my thru-hike of the John Muir Trail. Reaching the summit was a different experience than the first time. On that day, in September of 2009, it was sunny, clear and crowded. This year it was cloudy, cold (there was snow and ice on the trail), and at no time (while I was there) were there more than four people loitering about. But it wasn’t just the last day that was different; the entire hike was. Over the next few months, interspersed with our normal John Muir Trail news and information, I’ll try to describe the lessons learned this time around. It’s not hard to decide where to begin. This second thru-hike was tough—very tough—and I attribute my difficulty almost solely to one factor: pack weight. Prior to this hike I was more than a little skeptical of the significance of pack weight. My skepticism had several sources. First was my personal experience that the backpack, no matter how heavy it is, tends to “disappear” after a few days. It’s still heavy to lift, but modern backpacks are terrific at distributing the weight as you walk, whether they weigh twenty pounds, or forty. Second, I was influenced by a number of other hikers who downplayed the value of low pack weight. I found many of their arguments persuasive. I also did a poor job of planning and preparing for this hike. In the eight weeks before I began the hike a number of unscheduled and unforeseen distractions popped up, including a to-good-to-pass opportunity to buy a home near the Sierra Nevada, and an unexpected, week-long, business trip. I wasn’t as thorough and thoughtful as I should have been and I ended up paying the price. The best evidence of that? 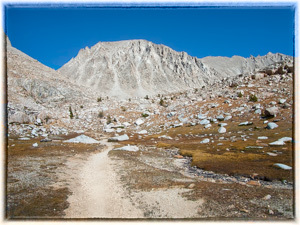 The FIRST time I weighed my pack was when I exited the wilderness at Whitney Portal. I had no water in the pack, and for reasons I’ll explain later, I had no food, either. The pack weight: forty-three pounds, not including my boots and the clothes I wore. So, how did an extra eighteen pounds make this hike different? Two ways. First, I was slow—really slow, particularly uphill. I’m already a slow hiker, but with more than fifty pounds on my back (with food and water) my pace was glacial. The last stretch up my old nemesis, Glen Pass, was excruciating. Not only was my cadence like that of a funeral march, my stride was so short that my heel barely cleared the toe of my opposing foot. It was occasionally even worse going downhill, especially where there were steps or rocks that made watching one’s step a must. The other big difference was the effect on my legs. Two-and-a-half weeks after I’ve left the trail I can still feel the fatigue, wear, and tear during my morning walks. On the trail it meant less energy at campsites to explore. So, what are the lessons I’ve learned? Next week I’ll discuss some of my poorer gear choices and offer some better alternatives. in mid-September with more stories from the trail! The hike into the backcountry from Happy Isles. Many folks complain about this first day of the hike, but I always find it to be no big deal. The trail is wide, well-marked, and passes Vernal and Nevada Falls—the largest two waterfalls you’ll see along the trail. If you are stopping at Little Yosemite Valley for the night, it also makes for a short day. Even if you are going past LYV and the trail to Cloud’s Rest, you are still walking fewer than ten miles. True, there are more than 4,500 feet of elevation you’ll need to climb that day, but you do it with fresh legs and a well-fed body. Don’t let this first day scare you and, when it’s over, don’t make the mistake of thinking that every day will be like this. You will be in much better shape before you are required to do this much climbing again.